Let's see your Hunter horses! 8/27/91 - 10/4/09 RIP my Prince!! And here I thought this thread was about hunters. Misleading title. This photo was taken by my favorite photographer, ABN's own Dawn JL. 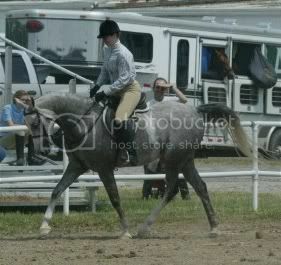 This is Otto going Reserve National Champion in SHUS Jr. 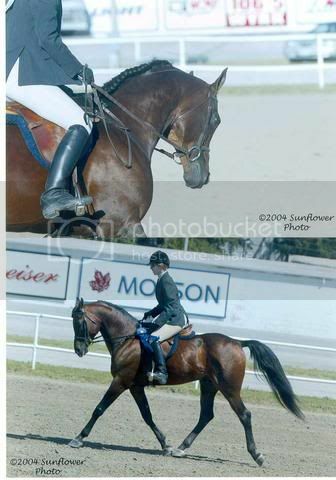 Horse and being ridden by Doreen Andersen of Quest Training Stable. Otto shows in HP 40 & Over with me and we show him the same way in HP as we do in SHUS. Otto is also a cousin to Aul Those Socks. Jeanie, you talk like Socks is famous! I believe Otto has had far more success! Aul Magic X EC Natalie (*Numaa daughter) It's no accident he is what he is! 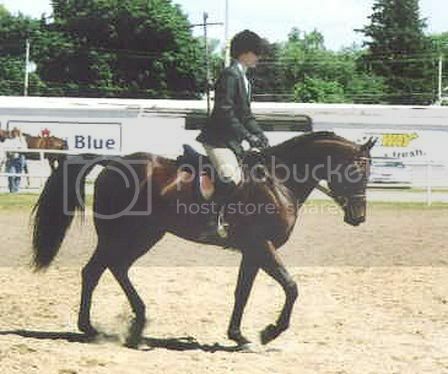 Here's my 12 yr old PB gelding, JA Icestorm. I'm training him myself. He's 16.1 hh! Here's Padrons Victory, even though he has a fantastic new home (Thanks to Mistikal Marketing Centre), he's an awesome Hunter! At 16.2h, I believe he's the biggest PB I've ever encountered! Here's Caraechstrodinair as a 3 yr. old. She's my new Hunter! (Way more my size at 15h!) I can't wait until she's bred so I can show her! And here's CT Kashmir. He's making his Hunter debut this coming weekend! This one is going to be a rockstar! Easy to ride & has a nice big motor! Who knew a hunter horse could be a cow? I can't find the CD with the pics of my mare on it... so until then, this is my hunter horse, as a cow! And bad bad me.. no helmet. Put it on about 1 minute after the picture and jumped the "cow"
Does anyone else notice how many hunters are behind the vertical? Not to be starting a fire here... but horses behind the vertical should be penalized at an A show according to the rules! This is my PB hunter, WOA Matador+/. I'm just going to link to these two, if that's okay. I never bought either picture, but Mattie looks so happy in them, so I had to share.